Weird WWII: Panzer 88 on the chopping block?! Panzer 88 on the chopping block?! 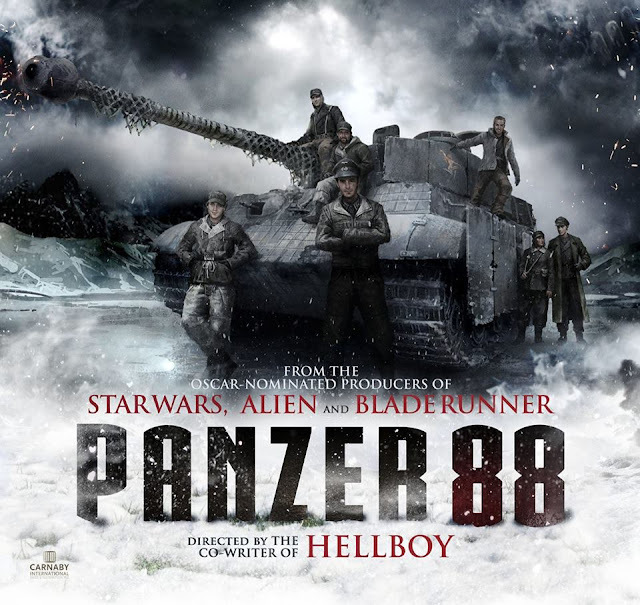 Sounds like bad news for the epic Weird WWII flick, Panzer 88. Sounds like the project might fall apart unfortunately. See what Peter Briggs has to say. That movie, to a large degree, I believe is able to be realized, with the right approach to its vision. There's things that will possibly be reported this week. I can't really comment on them at the moment. But I wanted to punch this up in the mean time. There've been links posted by others from this page to pirated versions of this. But this was the "grand design", so to speak, when we went out to the film markets. A few things are different (Pixomondo are the digital effects company we've been dealing with now, as they were -- ironically -- at the outset of the project), but this was the intent. If you've seen this, okay. If you haven't, it'll give you a tiny hint of what this project could be, done correctly. Thanks for supporting this film over the years, guys. It means volumes to me, personally. The best version of this film is is a project I've believed passionately in for a decade, and sweated long hours of exhaustion into the night hunched over a laptop while traveling the world, trying to make come to life. Damn! I'll still keep my fingers crossed for them.